Russian Federation. President (2004-2008, V.V. Putin). 1. Sverdlovsk Regional Court - Legal acts. 2. Power (collection). 3. Sverdlovsk region: pages of history (collection). 4. Territory of Russia: Sverdlovsk Region (collection). 5. 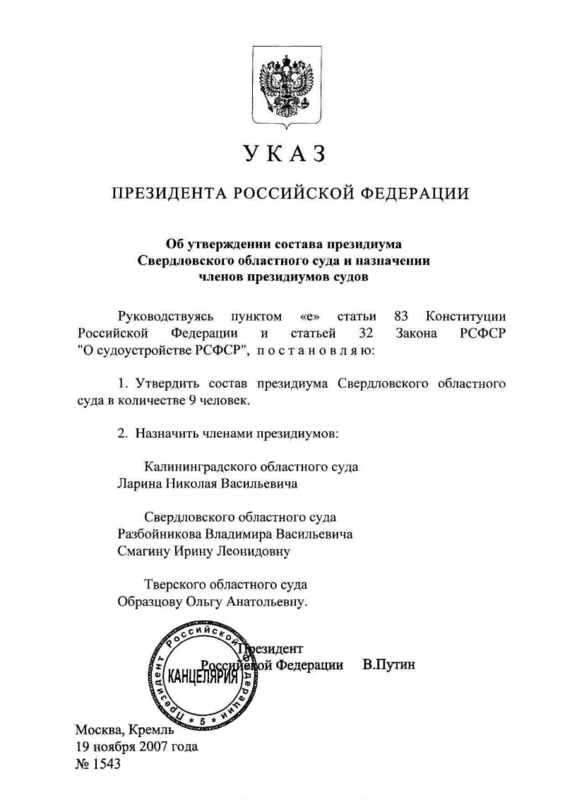 Regional courts - Russian Federation - Legal acts. 6. Judges - Appointments - Russian Federation - Legal acts. 7. Decrees of the President of the Russian Federation.